GEYC is selecting 5 Romanian participants to take part in the "WAVE project: Surfing for Environment, Sustainability, Health in the Atlantic Ocean" that will take place near Aveiro, Portugal, from 19th to 29th of June 2014. This is a "Youth in action" project. Please notice that this call is for Romanian participants only. Other applications will not be considered. Deadline: 13.02.2014. Apply now! WAVE project is a multilateral youth exchange with 30 youngsters from 6 EU Countries (Portugal, Malta, Hungary, Romania, Spain and Croatia), that will happen in June 2014 in São Jacinto near Aveiro, Portugal under the action 1.1 within Youth in Action Program. This project's main objective is to bring together youngsters who will discuss different issues, of which special focus will be given to importance of preservation of nature and healthy lifestyles (among others related issues such as recycling and reusing, healthy eating habits and sports) in lives of youngsters. Besides that, participants will be given an opportunity to get to learn more about each other's culture. They will do sports together, discuss different topics together, play, learn and make new friends. There youngsters will learn about the importance of saving nature (water and dunes) and at the same time practice of sport (surfing and beach sports). They will learn how to save nature and why it is important to behave responsibly outdoors, use what sometimes would consider as garbage and construct goods out of it. Also they will realize how important leisure and sports activities are for their health. This exchange will be held in São Jacinto, near the nature park "Reserva Natural das Dunas de S. Jacinto" and Ria de Aveiro - in a few words easiest to describe as a "natural paradise" that we need to keep taking care of, because it is not granted. • In order to travel to Portugal, Romanian participants should own a valid ID card or passport. If you have any questions feel free to contact us through the Contact form or by Facebook (as a private message). 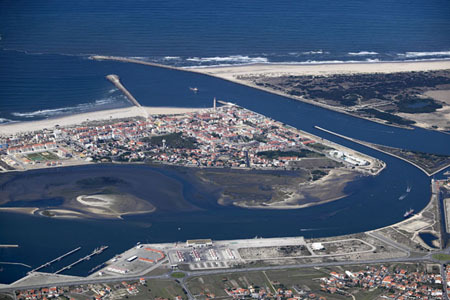 Please mention ”YE Aveiro” when you contact us.